You know it’s right around the corner – even if Mother Nature is pushing back. Spring is coming, and that means it’ll be time to get your boat back on the water. Are you prepared? The United States Coast Guard reports that its members conduct numerous rescues due to preventable incidents that can be avoided when the proper steps are taken for boating at the start of the season. For example, expanding water can crack an engine block, damage fiberglass, split hoses or even destroy refrigeration systems. The Coast Guard reminds us that safe boating goes hand-in-hand with responsible boat ownership. If it’s been a while, maybe before you even get around to de-winterizing your boat, it might be time to refresh your know-how with a boating safety course. The Coast Guard says it’s an excellent way to raise your awareness of local practices and hazards, as well as a great way to meet local boating experts. 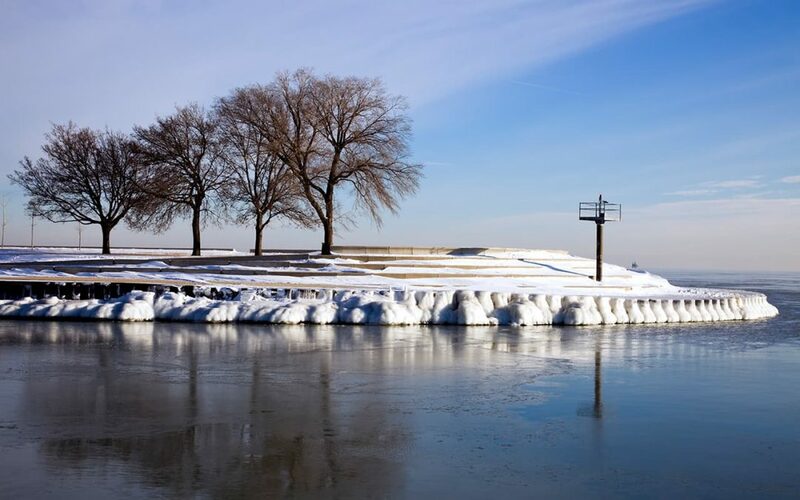 The Boat Owners of The United States (BOATUS) offers comprehensive information about how to safely store your boat for winter, weather you store it ashore or in the water. Here’s what you should focus on when it’s time to wake your boat up from its winter slumber. Travelers Insurance suggests approaching the de-winterizing of your boat as a spring ritual. Making sure everything aboard is operational adds to safety. It might seem unnecessary, but memory isn’t perfect. Travelers recommends re-familiarizing yourself with your boat by reading the owner’s manual and following the manufacturer’s recommendations for maintenance. Lifelong learning website Thoughtco offers these springtime boating preparation tips. Check the oil, cooling, and fuel systems: If you didn’t do it before winter storage, it’s time to change the oil and filter before you get back on the water. Depending on the type of storage, you might also have topped off the tank with gas. It prevents moisture condensation from forming and diluting your fuel supply. Change your fuel filter and check the level. If you see a noticeable difference, it can mean that your fuel line may have developed a leak during the winter storage. Cooling system liquids can freeze in cold winter climates, which means most boat owners drain this system before seasonal storage. If so, it’s time to fill up the system again and examine hoses for cracks and leaks. Check your battery system: Check your terminals for corrosion and brush them clean if you find any. Use a battery tester to make sure you have a good charge, and be sure to check the battery’s water levels. This is also the time to check the distributor for corrosion and secure connections. These may be things you’re unable to do until your boat is pulled out of storage if you’re unable to do that on your own property, so make sure to think about the logistics involved. It can add considerable time to the first trip out on the water. We’ve got the solution if you’d like to skip the frustration and the yearly winter storage fees. Our recreational steel buildings make excellent places to store your boats, jet skis, and even your RV. Fill out this form for free information.